"Flatware and small pieces of hollow ware of the 1850-1865 period occasionally made use of a lion that appears to be standing straight up on its rear haunches" (Charles H. Carpenter Gorham Silver, page 227 and page 228, Fig 12). The lion-anchor-G mark shown by Carpenter is identical to the mark on this nutmeg grater (Fig C4). 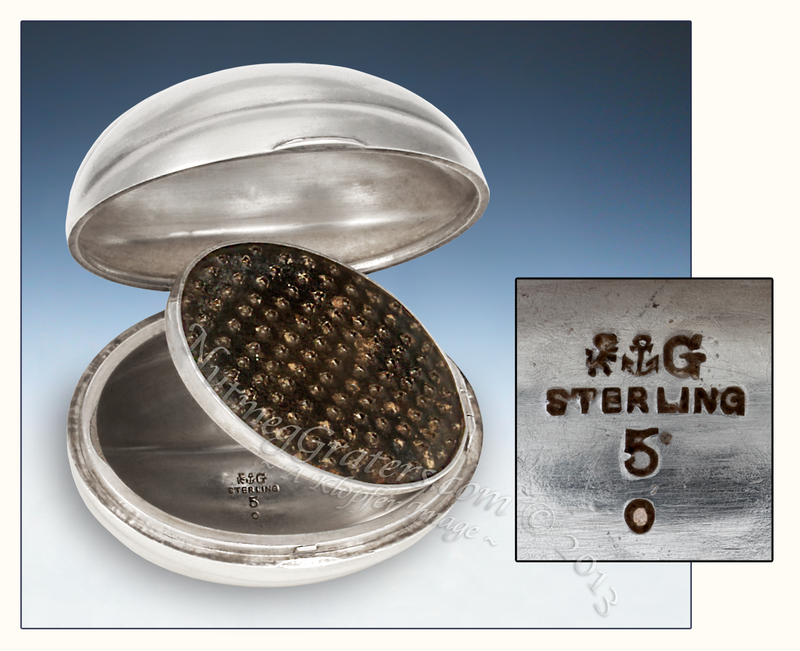 However, in contradiction to Carpenter's dates, this nutmeg grater is also impressed "sterling" indicating a later fabrication; being no earlier than circa 1868.